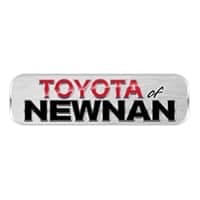 Whether you’re on the hunt for a great pre-owned Toyota, excellent and professional service and car maintenance care, or the opportunity to test drive a brand new Toyota model, let Toyota of Newnan be your first stop. We’re currently serving the Atlanta area with a wide variety of pre-owned and new sedans, trucks and SUVs, like the 2019 Toyota CH-R.
Because when you get behind the wheel of a 2019 Toyota CH-R, you get a 2.0-liter four-cylinder DOHC 16-valve with Valvematic engine with 144 horsepower and 139 pound feet of torque. Don’t miss out on an independent MacPherson strut front suspension and multi-link rear suspension with coil springs for the ultimate in comfortable driving. And not only does the 2019 Toyota CH-R easily seat five, it also comes with 36.4 cubic feet of cargo space—almost as much as the Toyota Sienna when the seats are all in use. And since everyone in the family should enjoy a ride in the Toyota CH-R, it comes with driving mode options like Sport, Normal and ECO, so you can hit whichever road you travel in style—and with great mileage. Because the Toyota CH-R gets an estimated 27-city/31-highway miles per gallon. But, of course, those aren’t the only reasons to schedule a test drive with Toyota of Newnan, your go-to car dealership in Newnan, Georgia. 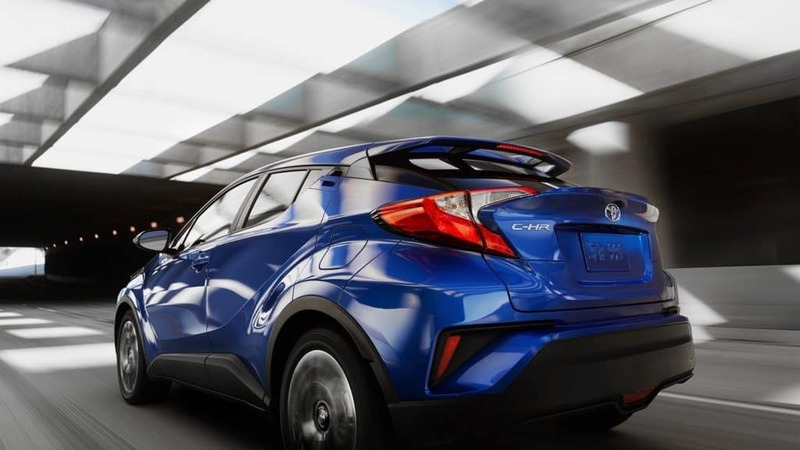 The 2019 Toyota CH-R is chock full of the safety features and options you know you can rely on from Toyota. Check out Toyota Safety Sense™ — Pre-Collision System with Pedestrian Detection, Lane Departure Alert with Steering Assist, Automatic High Beams (AHB), and Full-Speed Range Dynamic Radar Cruise Control. And, of course, there’s the five-star Overall Safety rating for 2018 from the National Highway and Traffic Safety Administration. You can enjoy all your favorite safety and performance options in the comfort of your new 2019 Toyota CH-R, since it comes equipped with a dual automatic climate control system, Entune™ 3.0 Premium Audio with App Suite and Dynamic Navigation with six speakers, leather trim, bucket seats, power outlets and more. But you don’t have to take our word for it. Come in and experience the new 2019 Toyota CH-R at Toyota of Newnan today. Don’t wait, come on down to 2 Herring Road to test drive your next car.